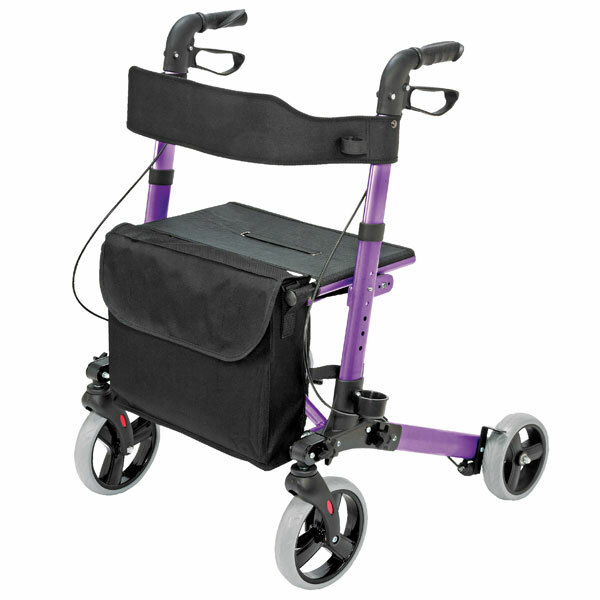 "Fashionable, Functional & Folds for Easy Storage"
• Stylish and compact design with purple aluminum frame; folds to only 25" x 16-1/2" x 11-1/4"
• Front wheel size: 8"; Rear wheel size: 7"; Seat size: 18" x 10"; Seat height: 21"; Weight capacity: 300 lbs. 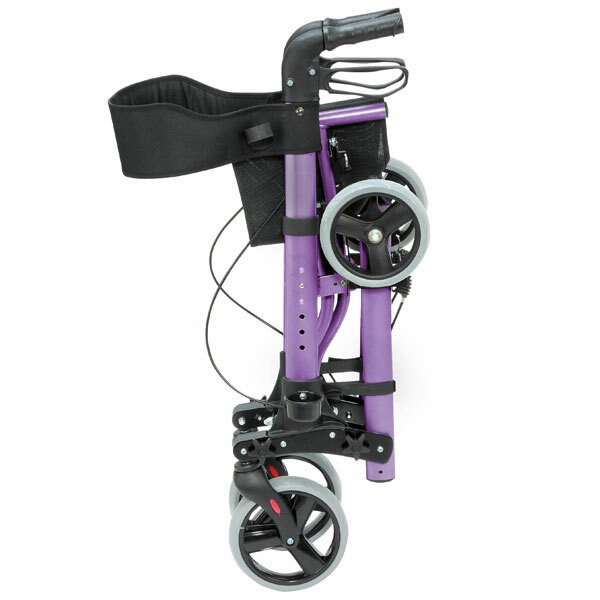 The Gateway Rollator is a folding rollator with a purple aluminum frame. 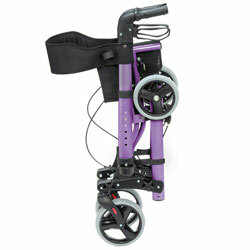 It folds to only 25" x 16-1/2" x 11-1/4" and is easy to use and store.